Personally I love this for my kitchen since we have black, red, and silver going on for appliances. 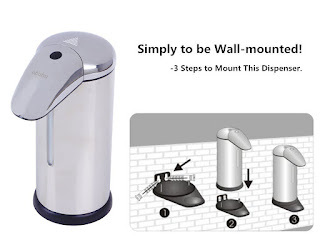 I don't use the wall mounting part so not sure how well that holds but I love the dispenser. This soap or hand sanitizer dispenser works with 4 AA batteries which are not included. Set up is easy. Dispenser hold 8 oz of soap or sanitizer when empty. Easy to use, no more fumbling with dirty hands to get soap without touching it with your hands, this does all of the work for you. We actually go through a lot less soap then before because my children know that when it stops that is enough to wash their hands with. You can find this automatic soap dispenser on Amazon in several color options. *Infrared Sensor Activated - Dispenses soap automatically when you put your hands near the nozzle. 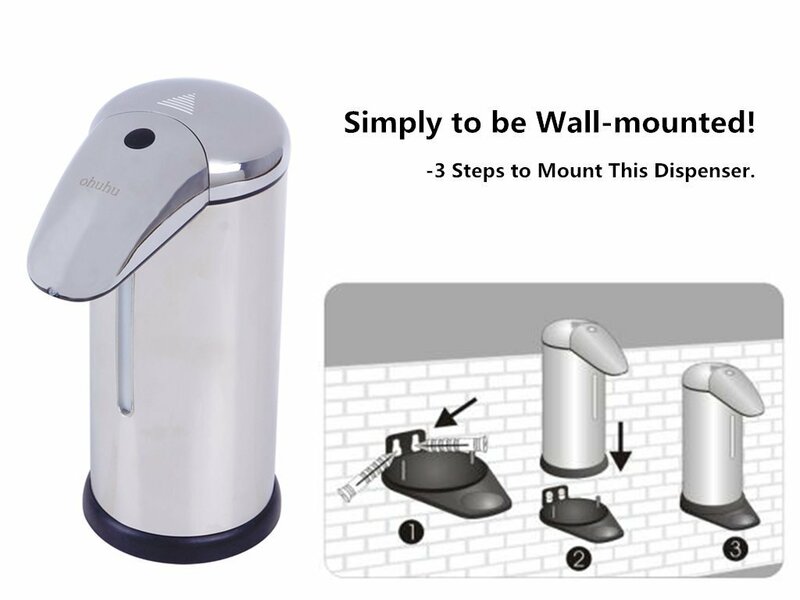 *Wall mount included - can be sat on a flat place or mounted on the wall. *Great for both kitchen & bathroom - can dispense disinfectant, liquid soap, shampoo, or shower gel.